Total number of counties worked in center column. October 7, 1952 - Novice, WN4YDY and Technician, W4YDY - 5 WPM Morse Code - Exams at Norfolk, VA.
April 10, 1953 - General - 13 WPM Morse Code - Exam at Norfolk, VA.
August 13, 1968 - Amateur Extra - 20 WPM Morse Code - Exams at Tampa, FL. 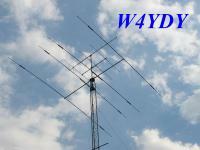 Welcome to W4YDY's Home Page. Click on picture to see operator. Check out the WHAT'S NEW page. 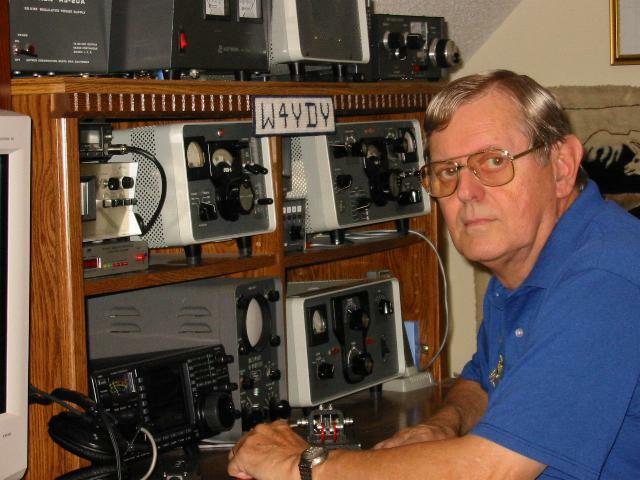 This page has links to items about Amateur Radio, aviation, space, and other interesting sites. 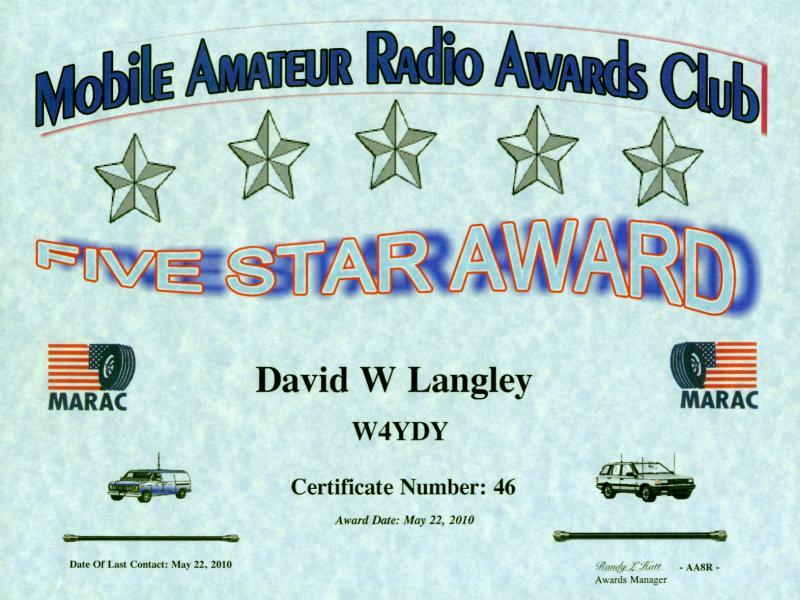 The W4YDY Mobile page was added 1/16/03. 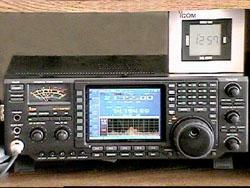 A new mobile radio was installed in September 2002 consisting of an Icom 706MKGII and a Tarheel screwdriver antenna. Page was updated August 2004 with Little Tarheel HP screwdriver antenna. Updated again January 2010 with Tarheel Model 75A. Traded cars August 2015. Radio not installed. 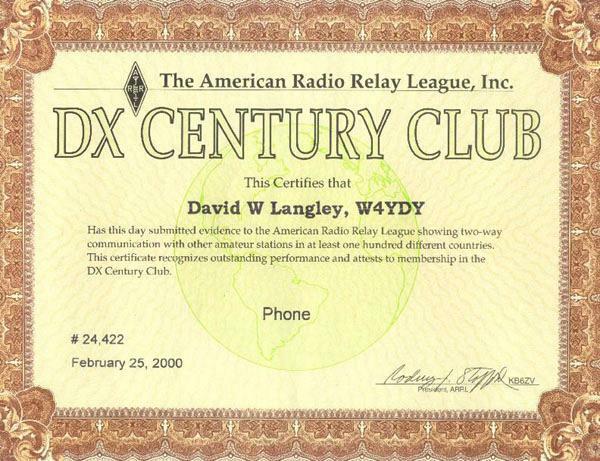 Lemmie, W4QI, (Silent Key), my first cousin, encouraged me to get my Amateur Radio License. He passed away in 1997. He was licensed in 1931 and held the same callsign for 66 years. 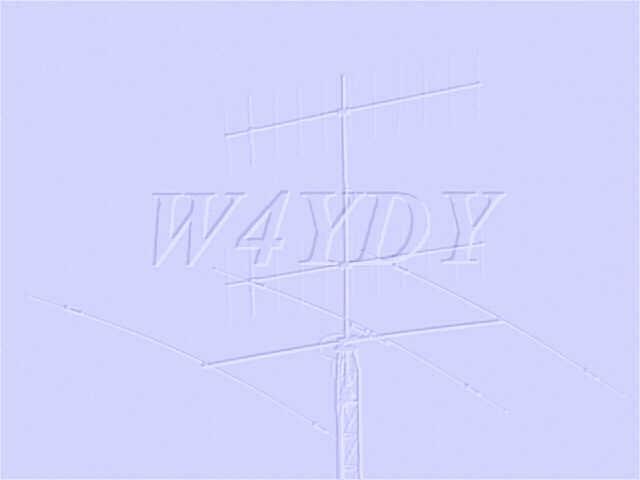 In 2002, relatives and friends organized the Holland Amateur Radio Society and his old callsign, W4QI, was issued to the club on 5/28/02 with W4YDY as Trustee. See the Internet page I made about him. 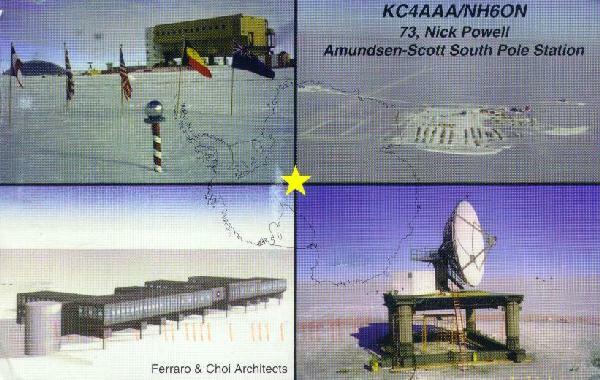 W4YDY was the first station contacted from the South Pole (KC4AAA) using PSK31 on November 5, 2001! 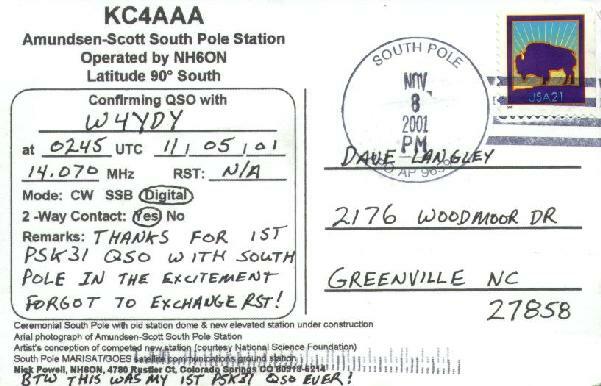 QSL card received December 31, 2001. (QSL card back side). 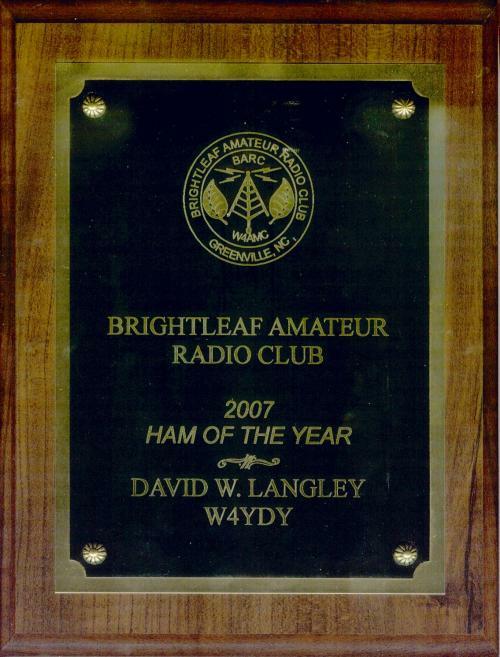 Named Brightleaf Amateur Radio Club 2007 Ham of the Year. Had same honor in 1997 and 2001. 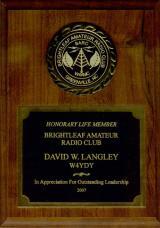 Presented with Brightleaf Amateur Radio Club Honorary Life Member award at the 2007 BARC Christmas party. Bios featured in Meet the Member columns in October 1998 and December 2003 issues of BARC Ham Chatter. Click on plaques for larger version. 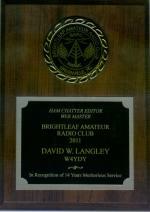 Presented with Brightleaf Amateur Radio Club 2011 "In Recognition of 14 years Meritorious Service" as Ham Chatter Editor and Web Site Editor. 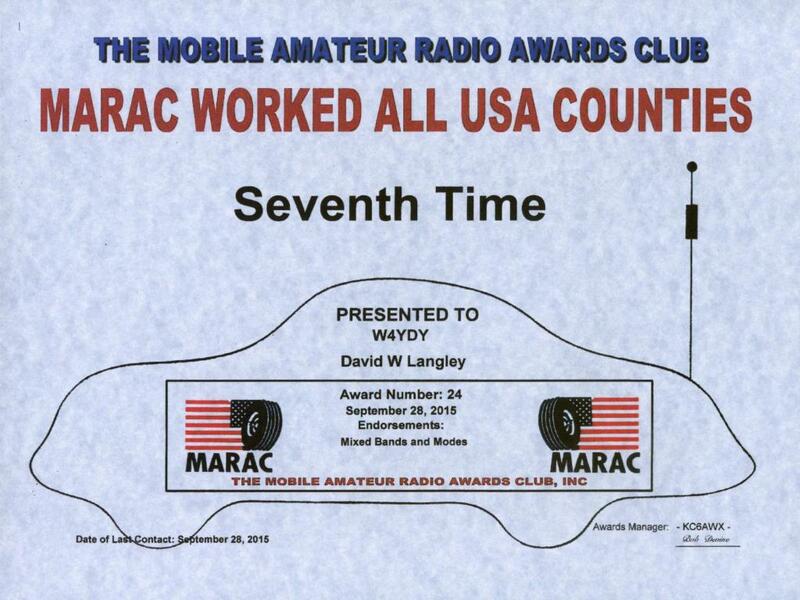 The award was presented at the January 2012 meeting since I was not able to be at the December 2011 Christmas Party. W4YDY and WN4YDY licensed October 7, 1952, first contact December 25, 1952. 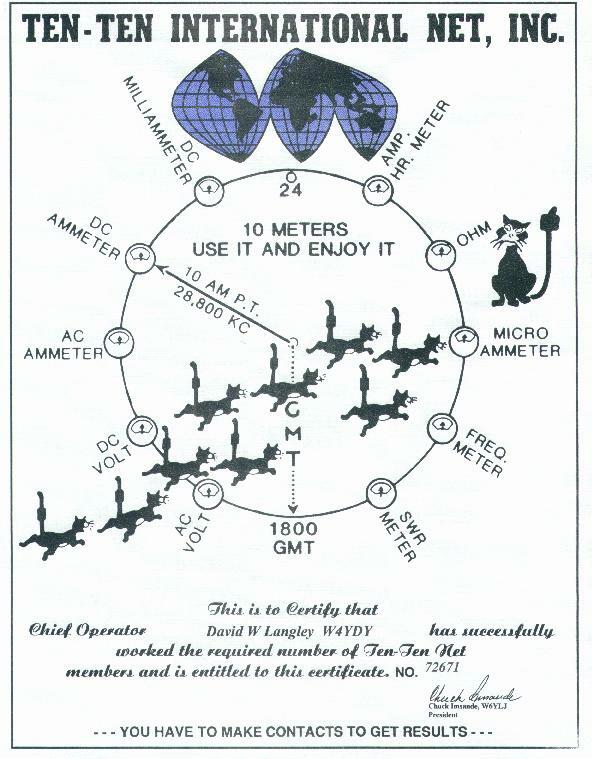 Second station call signs: K4IWJ (4/16/56 to 12/8/82) and K5NC (4/12/77 to 12/8/82). 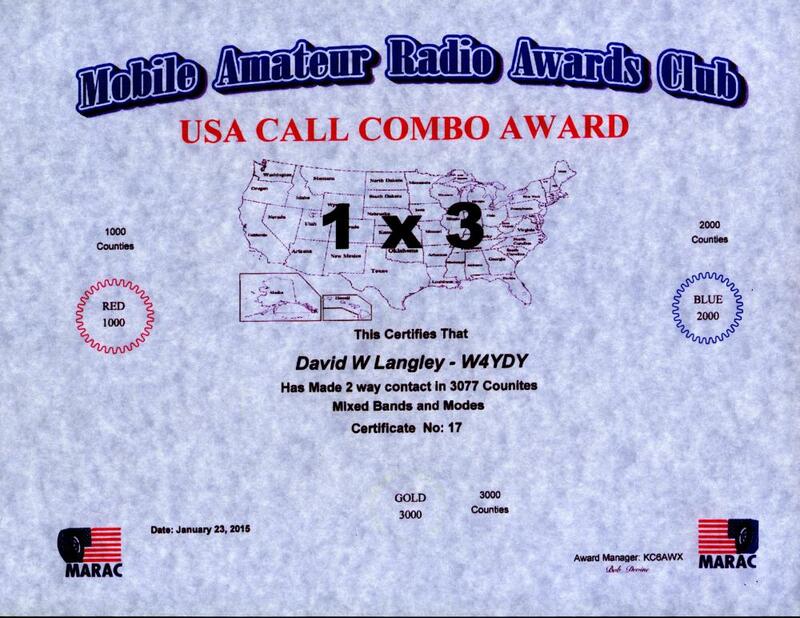 Repeater call sign: WR4ACH (7/20/73 to 12/8/82). Also, check out the page with 49 callsign auto tags starting in 1956. Picture on left painted and presented to me by my wife. It's Ham! The picture is displayed in the shack. Click on the picture for large version. 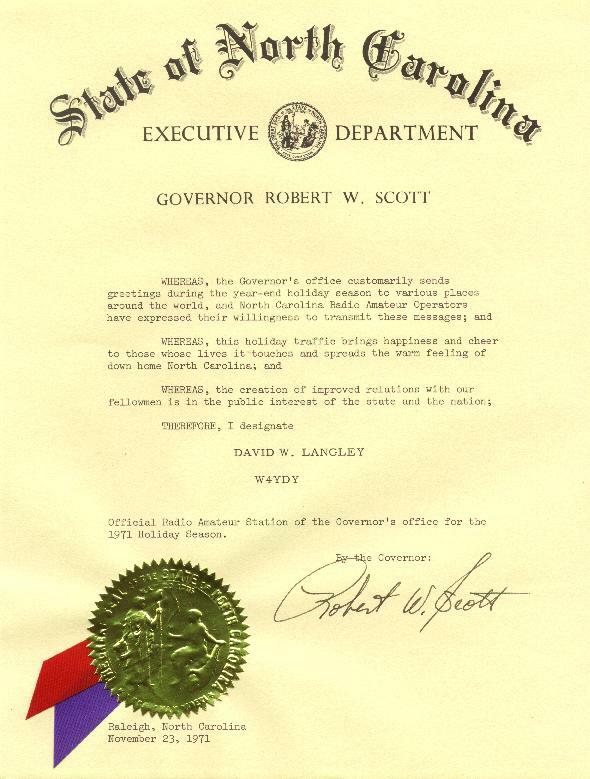 November 1971 - North Carolina Governor Bob Scott issued an executive order designating W4YDY as an Official Radio Amateur Station of the Governor's office for the 1971 Holiday Season. 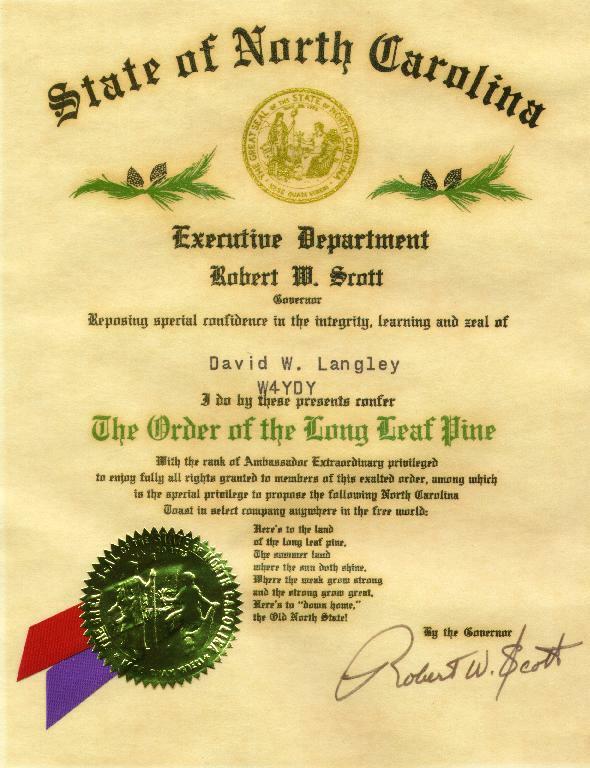 December 1971 - North Carolina Governor Bob Scott conferred to W4YDY The Order of the Long Leaf Pine with the rank of Ambassador Extraordinary, the highest honor bestowed to citizens of the state. 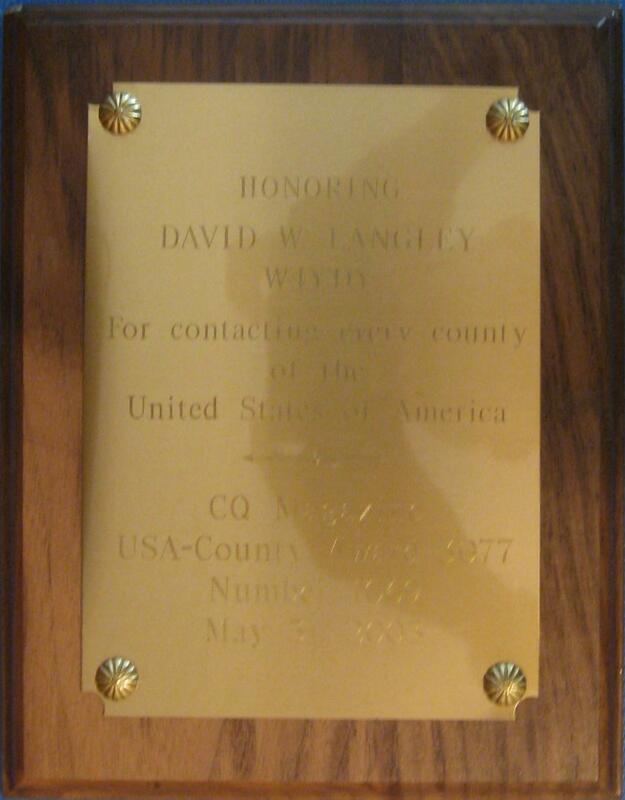 Quote from the Raleigh, NC News & Observer when NASCAR race driver Dale Earnhardt received one, "The award is the highest one given by the governor. It is for individuals with a proven record of community service, extra career efforts or service to an organization. Past winners of the Order of the Long Leaf Pine include Michael Jordan, Oprah Winfrey, and former U. S. Sen. Sam Ervin." Joint Chiefs of Staff Chairman General Henry Shelton received the award in 1999. My WITN-TV History - For my story in 1955, go HERE. It was an experience! 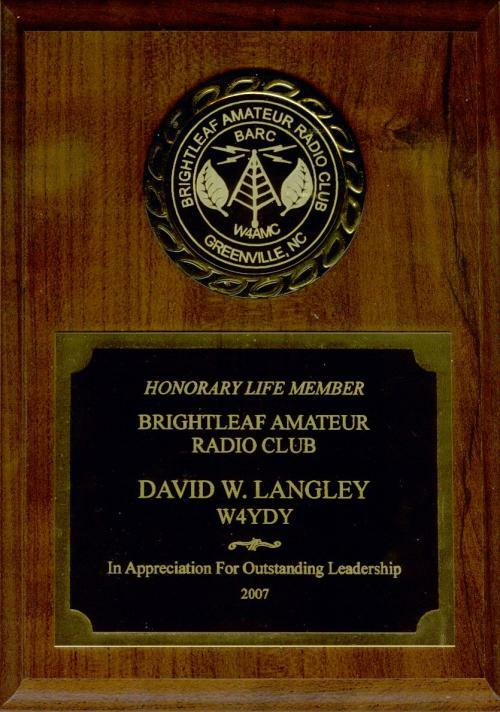 The Brightleaf Amateur Radio Club is located in Greenville, Pitt County, North Carolina. 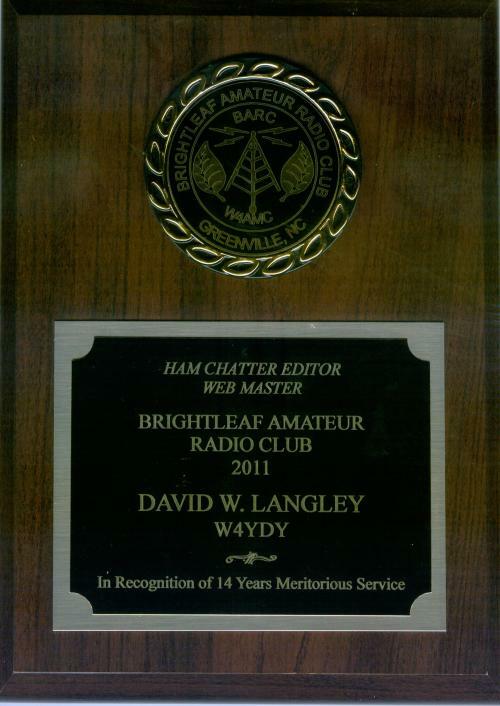 I am the former Editor of the BARC Ham Chatter (18 years) and the BARC Internet site. The monthly newsletter Ham Chatter, is also on the BARC site. 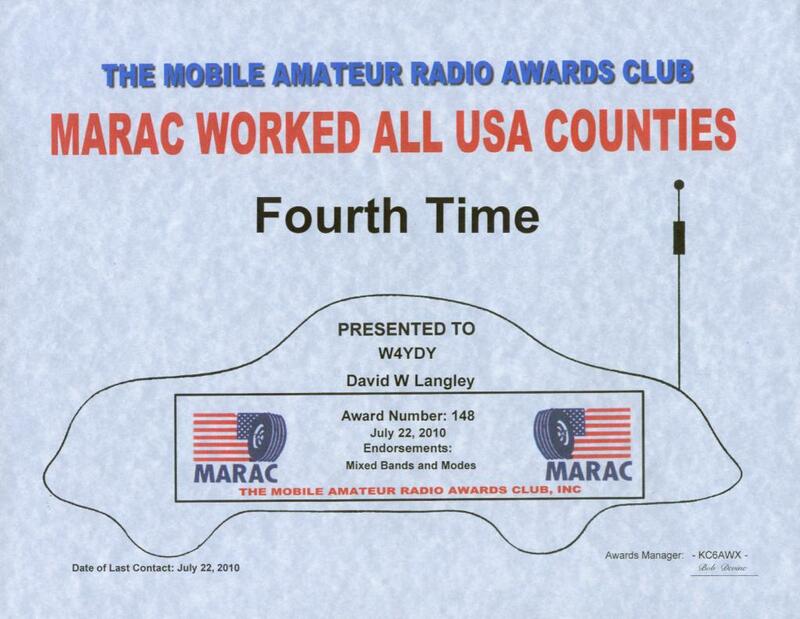 American Radio Relay League- Noncommercial association of Radio Amateurs. 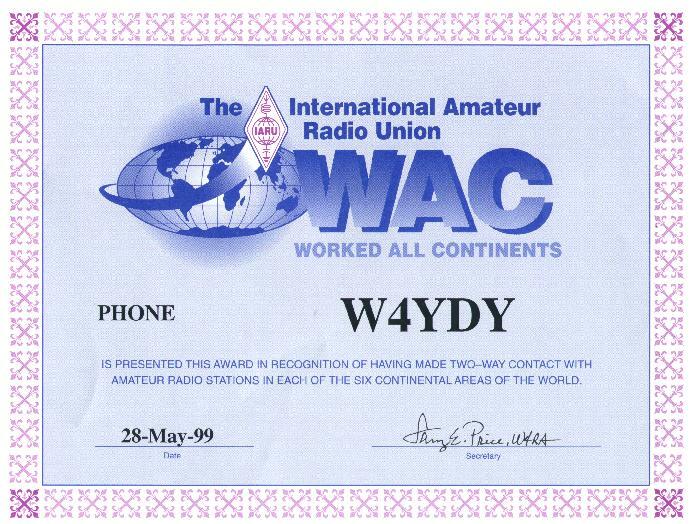 W4YDY Member since 1952 - Life Member since 1968. 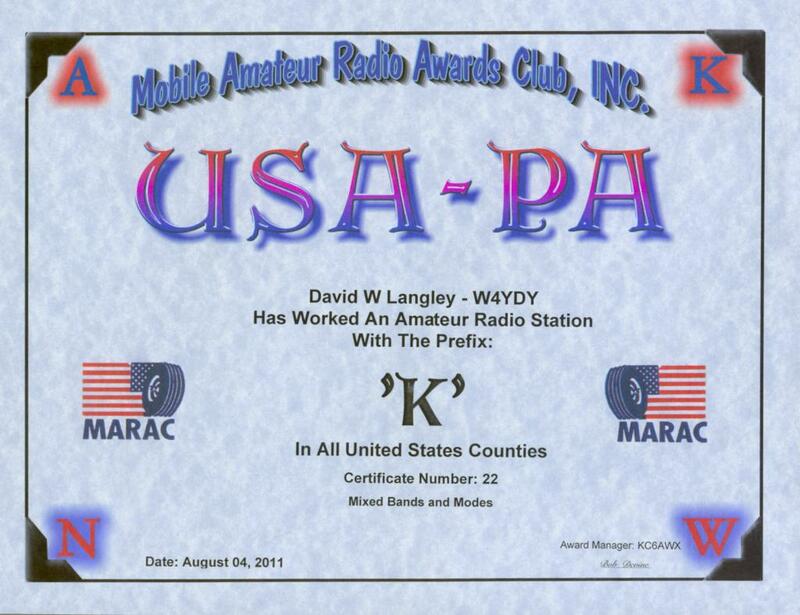 Amateur Radio Links - Over 70 links to Amateur Radio Internet sites, some with thousands of links. 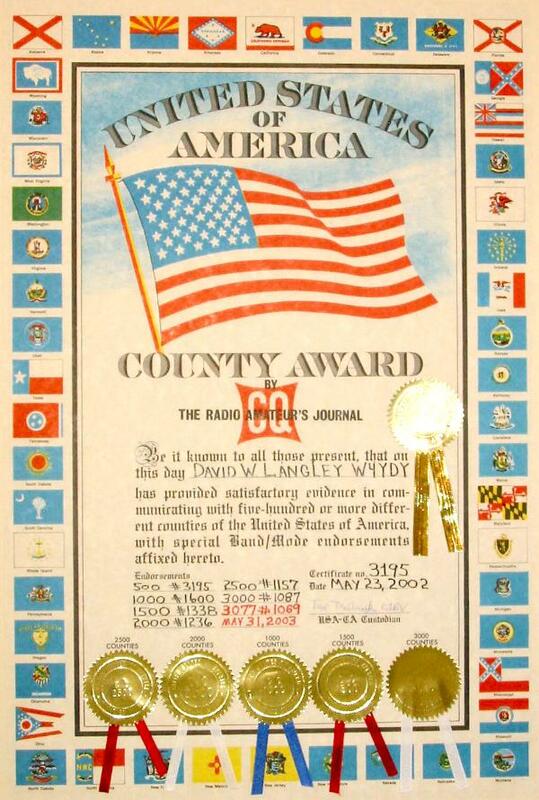 Received CQ Millennium award for 2001 and had article in CQ Magazine. My primary computer log is PDA LOGic. 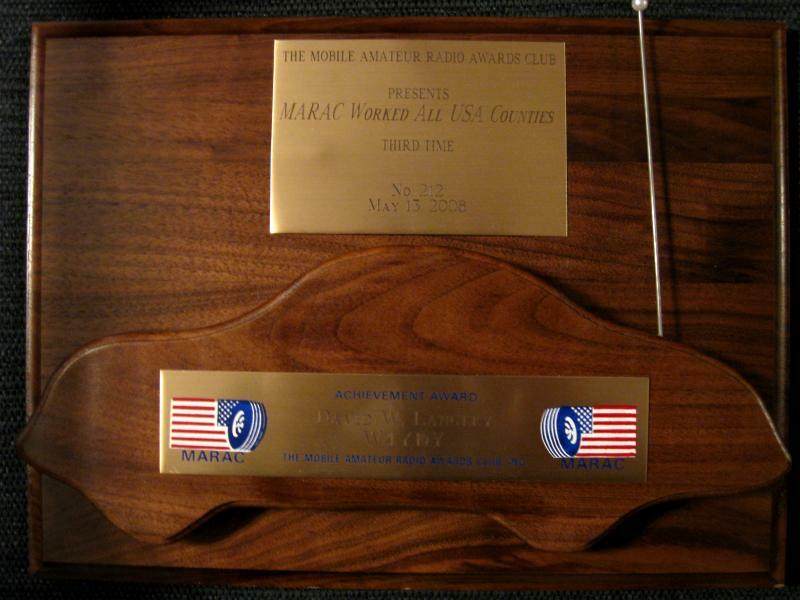 Over 130,000 QSO's have been entered and it keeps track of QSL records, contests, DXCC, States, Counties and any other award you want to track. 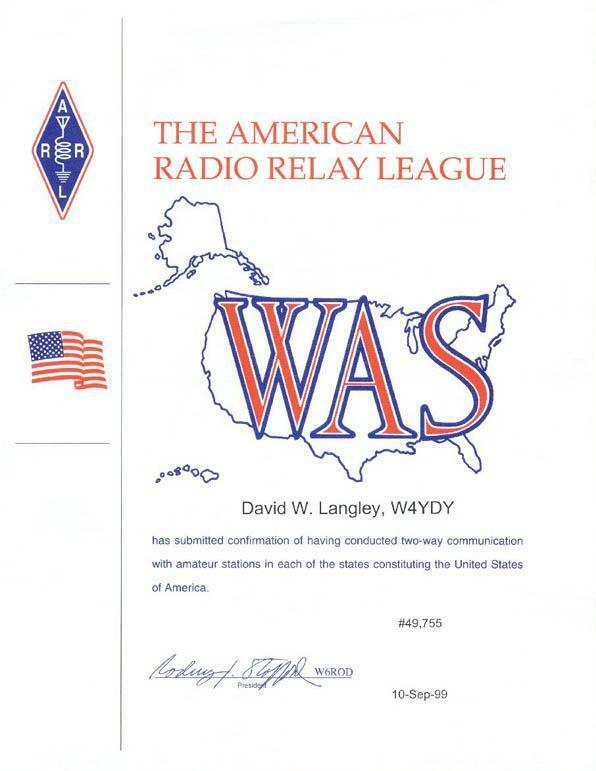 Also it prints out any type of report you may require and QSL cards. You may design your own reports and QSL cards. Send CW, works with PSK programs, control radios, control rotor, FCC callbook with weekly updates, Logbook of the World, eQSL., telnet windows, any contest interface, world map, DX spotting windows and many, many other features. Instructional videos. All of my QSO's starting on 12/25/52 are in the database. NEW - Over 10,000 QSLs confirmed by QSL cards, 2,000 DX and 8,500 USA. 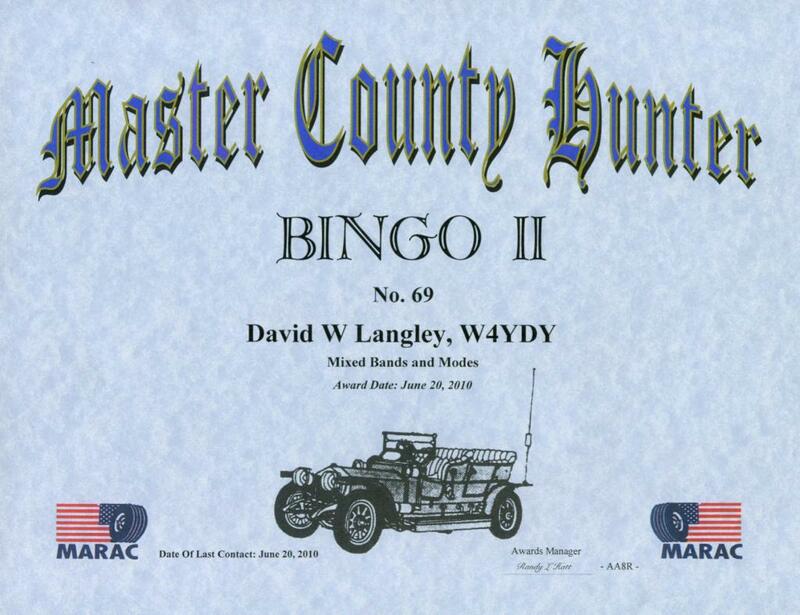 For county hunting, I use the MARAC Logger. 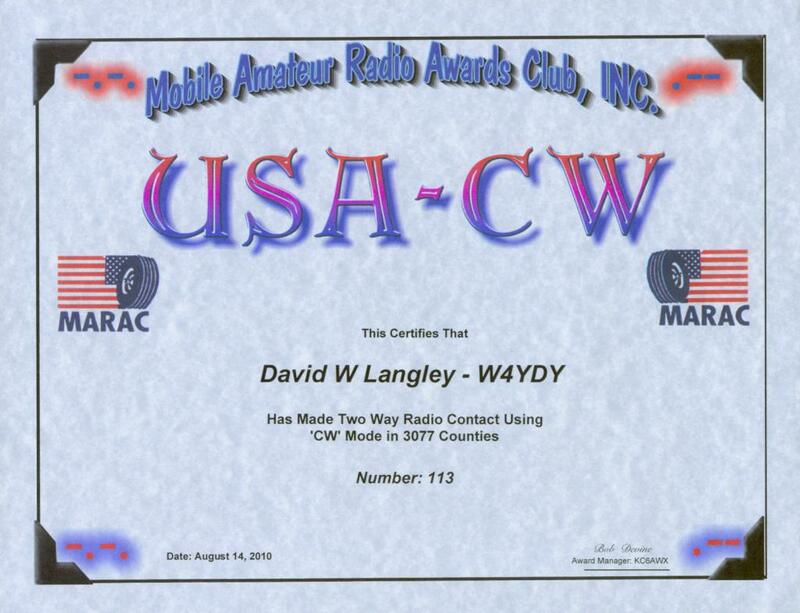 It does an outstanding job of keeping up with USA counties for the CQ USA-CA award and dozens of awards administered by the Mobile Amateur Radio Awards Club. 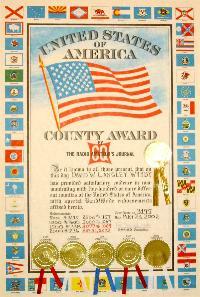 It generates reports quickly for submitting awards. Only MARAC members may purchase Logger and updates are available only to CURRENT MARAC members. NEW - All logs, fixed and mobile, starting with July 1992 are uploaded to Logbook of the World and eQSL As of February 2019, over 120,000 records have been uploaded to LoTW and eQSL. 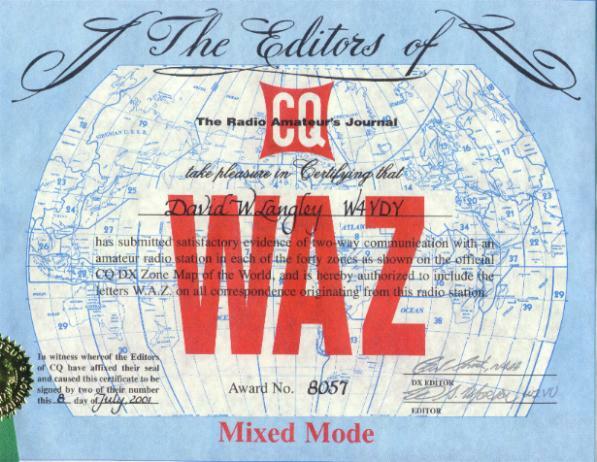 Over 16,000 LoTW conformations and over 5,000 eQSL conformations are approved. No records before July 1992 have been uploaded because of the many locations. 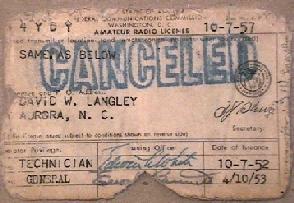 NEW - Over 99% of the contacts are recorded in ARRL logbooks starting with the first contact on 12/25/52. Presently have 12 logbooks for mobile and now on logbook No. 102 for fixed station. 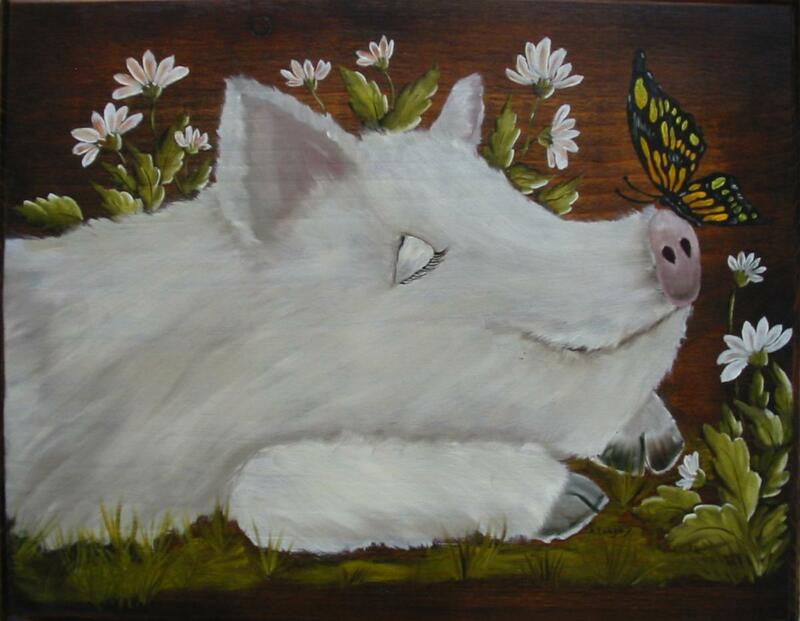 ORIGIN OF HAM SPEAK - FACT, LEGENDS AND MYTHS??? My experiences with a Piper Cub J3 crop duster in 1951. Track a flight. See where the airlines are located on a map with weather while in flight. Also links to web sites that have hundreds of links to airports, airlines, flying information, FAA and NTSB sites. The FAA site has links to the latest FAA regulations. A page of Useful Internet sites. US Post Office ZIP code and address lookups, genealogy links and US Tax Code. You might find something that will help you! Susan - Daughter - WA4AKB - Amateur Extra. Passed 20 WPM code test and written for Amateur Extra 2/18/00. Her home page has links to NASA. Her husband, Dale, WA4JCK, upgraded in September 2011 to General. 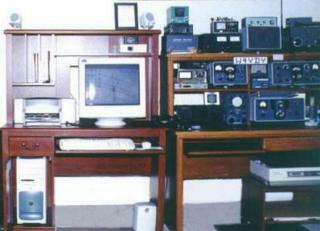 W4QI (SK) - First Cousin - Lemmie's page with pictures including some from his Amateur Radio station in the 1930s. Data from neighbor's WD6GBV weather station. Reload the page to change the picture.